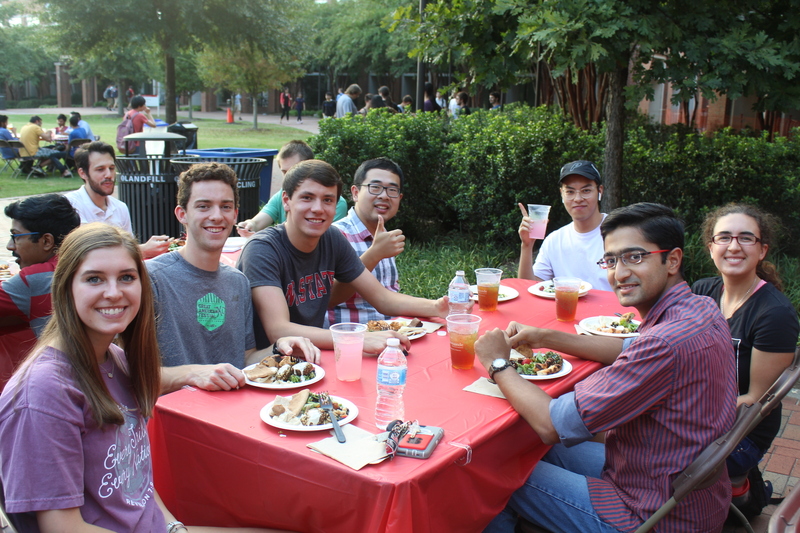 After a week of rain brought by Hurricane Florence, the sun appeared for the department to welcome new students and faculty at the 2nd Annual MAE POP (Post Orientation Party) on Thursday, September 20th. 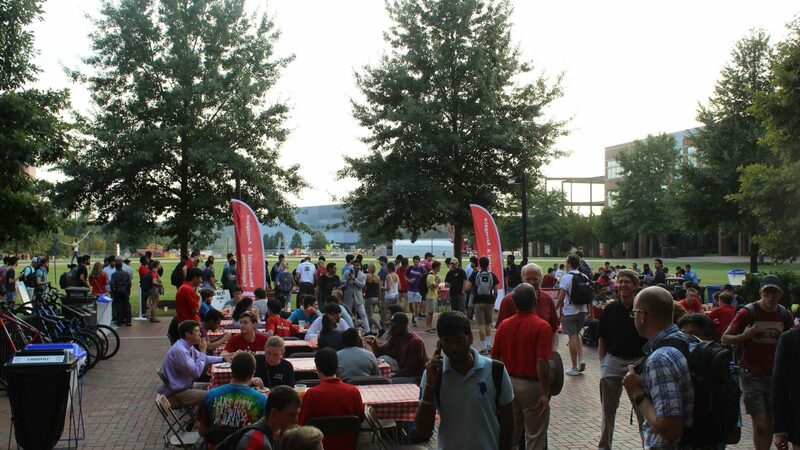 The MAE Ambassadors along with sponsors AIAA, ASME, Caterpillar, and UTC Aerospace Systems hosted over 350 students, faculty, staff and alumni on Centennial Campus under the Engineering Building 2 Breezeway. Music was provided by DJ jessK, and food was served by Neomonde Raleigh. Over 10 different student organizations lined the breezeway to inform new students about the different opportunities to get involved with the department and their fellow classmates. A huge thank you to everyone who made the event possible! The department looks forward to a successful school year, and can’t wait to see everyone again at the 3rd Annual MAE POP. Pictures from the event can be found on our Facebook page, here. For more information on how to get involved, contact Aslyn Rau (arrau@ncsu.edu).